Are you unhappy at work? Do you know what you’d like to be doing but not how to get there? Or is it hard to identify what’s wrong at work — you just know things could be better? There’s a solution. One where you feel fulﬁlled at work. In a position using your best self. That gives you all you want. When work just feels awful, you need to stop the hurting and start the healing. I can help. During this 20 minute call, we discuss your needs and desires, as well as my methods for career turnaround. We will determine if we are a good match and chart a course for success. To start, we focus on digging deep. You will answer, “What do I really want?” with detail and enthusiasm. You will define your talents, skills, and passions. And you will learn how to use this clarity to advance your career, change careers, or turn your passions into profits. Together, we lay out a personalized map for your career success based on your personal strengths, specific interests, and acquired skills. If you are miserable at work, let’s talk. I help women in management heal their relationship with work so they can have the lifestyle they desire. My unique holistic approach aligns your desires, needs, talents and spirit. Whether I guide your transition into a new career, help you succeed in your current career, or turn your unique interests into a lucrative endeavor, I am your catalyst for positive change. Together, we can make Work work for you. I have had the absolute pleasure of working with Rebecca for the last 1.5 years. She is strong. She is consistent. She is passionate. And she is inspiring. I couldn’t be more grateful. Rebecca helps me focus in on the actual issues that are causing upset or confusion. Her demeanor is always loving, calm, measured, and extremely thoughtful. After meetings with her, I always feel safe, self-directed, in tune with my true goals, and re-energized to face whatever the universe has in store for me. Rebecca taught me to look within myself, realize my fears and face them. I learned how to think out of the box and be self-confident. She also taught me to network more efficiently and provided valuable tools that helped with my professional career and personal endeavors. I continue to be successful because of Rebecca! With Rebecca, the words insightful, caring, understanding, listening, guiding, uplifting, spiritual and nurturing come to mind. At the same time she will hit me with some tough love when I need it. After each session I am uplifted and ready to work on challenges and life’s goals. Whether you are dealing with stress at work, relationship issues, addiction, or just general life challenges, Rebecca can help you sort through things, and offer steady, caring guidance along your journey. If the status quo makes you unhappy. If you can’t put a name to what is wrong, but you just know things could be better. If your career aspirations always seem to elude you. If you’re tired of living by the rules and parameters set by others. Read the blog for tips, info, and perspective on creating a fulfilling career. 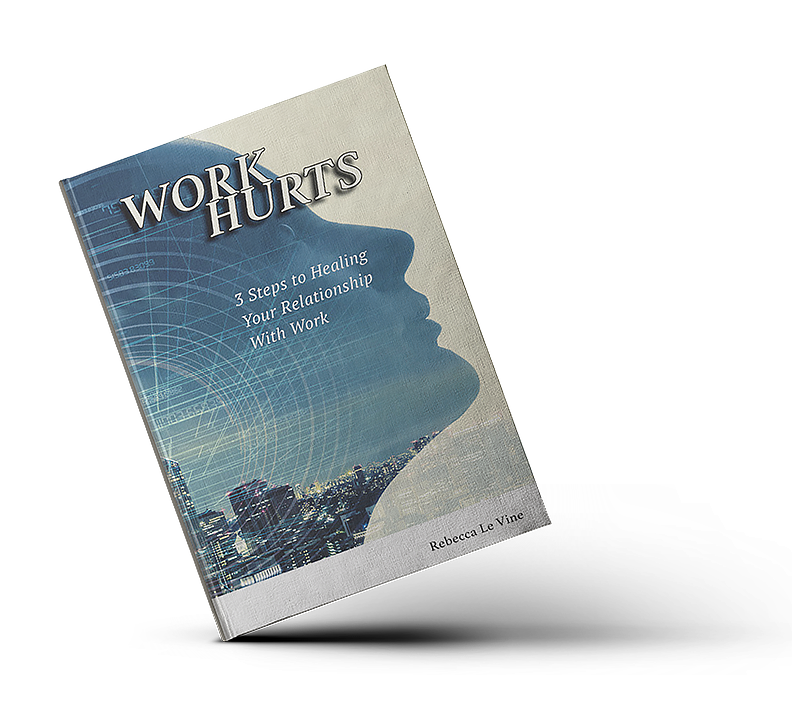 Ready to heal your relationship with work? I help you get clear about who you are and what you want to do. Then I develop a customized roadmap for your success and give you the tools to achieve it. Not sure how to make the change? Confused what you want from a career but know you deserve more? Want to climb the ladder or take a new role with your existing company? Considering turning your passion into a business of your own?